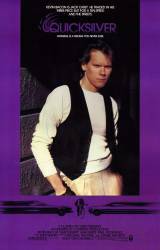 Continuity mistake: During Kevin Bacon's race with fellow messenger, the scenes shift back and forth from New York to San Francisco. In one city, he's on a fixed gear (no freewheel on back wheel) and when the race is taking place in the other city, he's riding a single-speed. Basically, the cityscape and bicycles switch from scene to scene. Continuity mistake: During the scene where Jack races Gypsy, there is a shot where Gypsy is shown, at a passenger angle, in his car. He drives by a Carls Jr., then it cuts to Jack. It cuts to Gypsy again, and he is shown driving by the same Carls Jr.
Jack Casey: Sometimes things don't happen the way you planned, sometimes you could end up lower than you started.